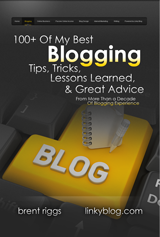 A blog is place to speak and be heard by expressing thoughts and emotions online. 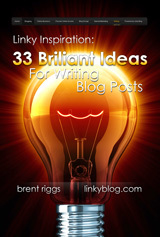 Blogs are a creative way to promote a product or business. You can create a following just by focusing on your brand. Blogs can establish you as an authority figure. It is no secret that many personalities have reached celebrity status through blogging. Blogging is a way to make serious money. In fact, you would be surprised to learn how much can be earned online if you can provide your readers with valuable content and use profitable monetization strategies. Have you hear of pay-per-view? Putting it simply, this is pay-per-click. Through the AdSense program, Google puts banner ads on a website that is related to the website’s content and geographical location. You can see these ads by looking at the results on top and on the right side of a simple Google search. AdSense is one of the most popular ways that small websites can generate income. You just have to generate traffic and encourage viewers to click on the ad. With AdSense, the website owner will usually earn 60% of the amount that advertisers pay Google per click. That translates to anywhere from two cents to about a dollar per click, depending on how much the advertiser is paying. The way to maximize earnings with AdSense is by targeting your traffic and matching ads with your audience’s interest. The way to do this is through experience. A successful blog does not happen overnight. Like everything else, it takes time and a lot of hard work. To join AdSense, you need to build about thirty pages on your site then submit an application on adsense.google.com. Once you have been approved, copy the HTML code on the specific page that you would like the ads to appear. Similar to AdSense being a pay-per-click program, Affiliate Ads is a pay-per-sale program. 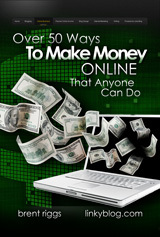 It lets a website earn commissions when a reader clicks the affiliate link and buys the product. It is only available for blogs within the United States hosted on Blogger.com. Affiliate Ads focus on your interests and passion. For example, if you write about beauty or fashion, you can have Google Affiliate Ads that are related to these segments. The potential to earn is higher than AdSense, since it is a commission. Starting up with this program is simple: log in to the Blogger account, match your content to ad categories, and select an affiliate ad to feature on your site. The amount of income to be earned will vary from category to category. Of course, the more expensive the product, the higher commission there is to be earned. Some bloggers say they can earn anywhere from fifty to a few hundred dollars per month. Now that makes it worth a try. With direct-ad sales, you reach out to companies directly by offering to place a banner linked to the advertiser’s site on your website. 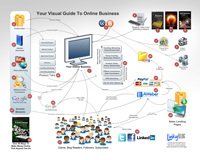 You take care of the interface and the images, and you even do the admin work like tracking the clicks or the sales. It sounds like work, right? But bloggers with direct experience say that they earn twice as much as compared to AdSense and Affiliate Ads. And as a bit of a tip, potential clients make advertising packages for both start-up businesses and established businesses. Using the three above techniques will assist you in monetizing your blog. You always must keep in mind that people are visiting your blog for your content, not your advertising or affiliate links. Make sure that your first priority is providing valuable blog posts for your readers and turning first-time visitors into regular readers. Once you have a quality website, you can join in on the profits through monetization. You just need to put in the effort and the hours to build your site’s content and readership.